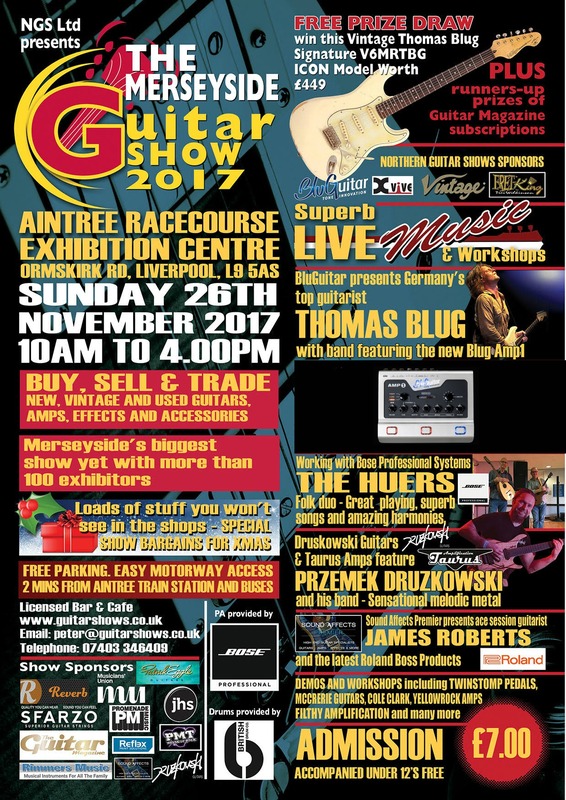 This year celebrating fifteen successful years at the same venue, The Merseyside Guitar Show will take place on Sunday, 26th November 2017 from 10am to 4.00pm at Aintree Racecourse Exhibition Centre, Ormskirk Rd, Liverpool, L9 5AS and this year promises to be the biggest and best show yet. 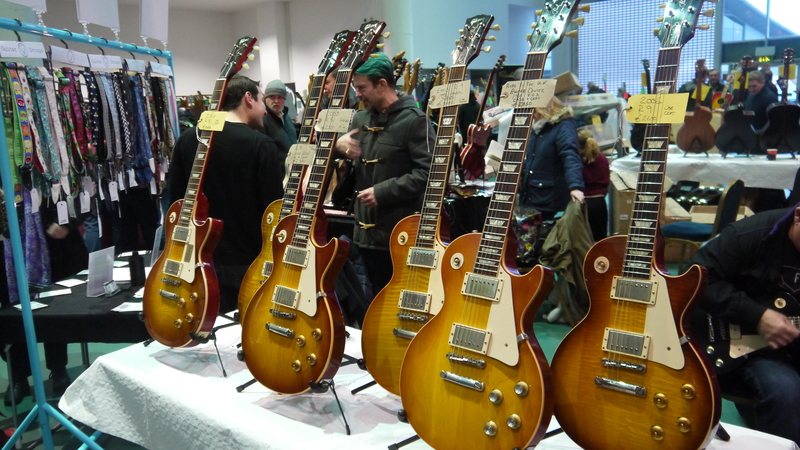 Now one of the UK’s biggest shows dedicated to guitars. Four floors with more than 100 exhibitors, collectors and dealers. Buy, sell and trade. New, second-hand and vintage guitars, amps and accessories. Special Show bargains for Xmas. Live music, workshops and demos all day. The live music stage will feature Germany’s top guitarist, the sensational Thomas Blug, and band featuring the BluGuitar 1 Amp; The Huers, folk duo; amazing prog/metal player Przemek Druzkowski with his band; and a workshop performance by James Roberts with the latest Roland Boss products. Many national and independent stores, luthiers and dealers are attending. Sponsored by Fret-King & Vintage Guitars, BluGuitar, PMT, Sfarzo Strings, Reverb.com, Reflex Print, Rimmers Music, The Guitar Magazine, the Musicians’ Union, Roland Boss and Patrick Eggle Guitars. PA is provided by BOSE. Drums provided by British Drum Company. A great day out for any guitar enthusiast. Free parking. Cafe and licensed bar. Admission £7.00 at the door. Accompanied under-12’s free.